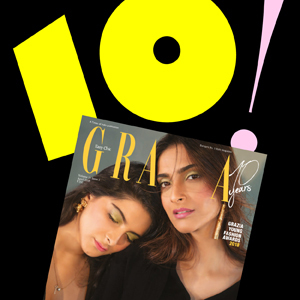 HAPPY 10TH ANNIVERSARY GRAZIA INDIA! Starting with a super anniversary issue celebrating this milestone with 5 local designers who have crossed the same threshold this year and with a powerful cover story, Grazia India received many videos with the best wishes published then on their Instagram profile! This is just the beginning of super anniversary celebrations!